Iran and France sign deals to boost research and training cooperation in the agriculture sector. The agriculture ministers of Iran and France met [in Paris in late May 2014] and inked a handful of cooperation agreements on research, education and exchange of experiences. On the sidelines of the meeting, French Minister of Agriculture, Agrifood, and Forestry Stéphane Le Foll said his country has decided to lift the sanctions slapped on Iran’s agriculture sector. Iran’s Mahmoud Hojjati, for his part, said during his visit the two sides decided to form a working group to pursue the ongoing talks and take necessary measures to implement the agreed-on deals. Over centuries, France has been a key agricultural hub in Europe. With 730,000 farms and an almost 7 percent of its manpower involved in the agriculture sector or similar sectors like fisheries or horticulture, France is among the leading European countries in the area of agriculture. According to France’s Ministry of Agriculture, the economically active population engaged in agriculture is on the decline, although new marketing methods and agritourism have brought young talents to this sector. Sugar beets, milk, beef, veal, grains, and oilseeds are the staples which have placed France on the list of the world’s top producers. The Iranian agriculture minister also expressed Tehran’s willingness to tap into France’s knowledge in the field of animal husbandry. France has a good record in producing healthy and quality cattle. When the mad cow disease ravaged Britain’s cattle industry, France stopped imports of British beef and this took a heavy toll on Europe’s agriculture. Iran, for its part, is a producer of quality saffron, pistachios, and organic garden products on a large scale and has a great record in beekeeping. The missing link of Iran’s agriculture sector, i.e. marketing and marketability of products, is the only obstacle standing in the way of proper introduction of these products to world markets. This comes as tendency to use new marketing methods is on the rise in France. More importantly, European countries cannot grow some agricultural products mainly due to the shortages of arable land and lack of climate variations – which are taken for granted in Iran. 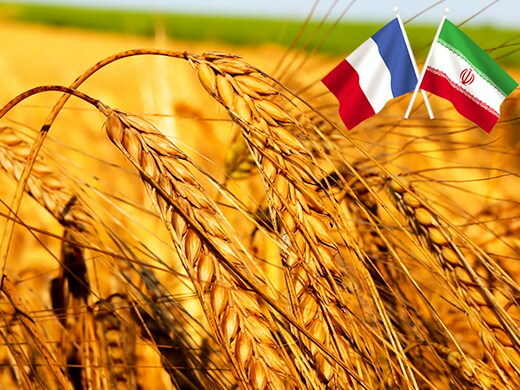 Interactions between the two countries in the field of agriculture can bring France’s modern scientific methods and Iran’s various products together. So Stéphane Le Foll has entered talks with the country’s foreign minister to exclude the agriculture sector from the sanctions [imposed on Iran]. The French negotiating team has placed on its agenda a trip by Le Foll to Iran where he is to pay a visit to agricultural, historical and cultural sites. It is worth mentioning that the positive results these agreements could produce highly hinge on mutual respect by the two sides for each other.